As you are aware, as a school we endeavour to provide parents with information about recent updates to online safety. Live.me is a live streaming video app that lets you watch or broadcast live videos. The service, which claims to have amassed more than 40 million global users, says it is aimed at giving creators a ‘platform to reach a wide audience and share their talents and passions directly with their fans’. Users can buy virtual coins and gifts and send these to broadcasters who create content ‘they love’. As a National Online Safety Certified School, parents are able to access a wealth of information for keeping their children safe online via https://onlinesafetyworld.com/school-course-access/ and using the code LANGLEY300 to use the service free of charge. 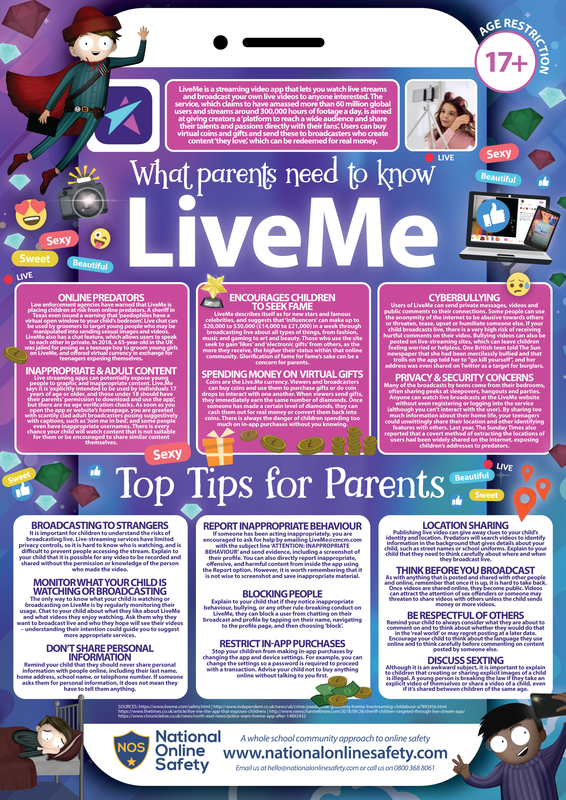 A parents’ guide to LIVE ME can be found on our school website.